Removes the currently selected button. 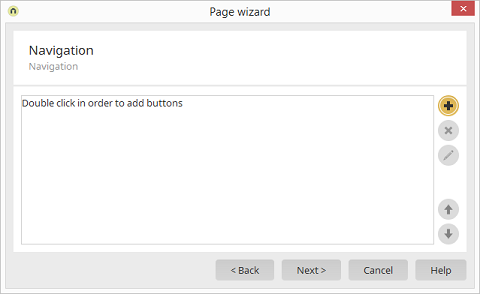 Opens a dialog where the settings for the selected button can be edited. Adjust the order of the buttons. The following applies here: The higher the button is in the list, the higher up it will be shown on the new page.